Tom is a third generation Petaluma real estate broker, a graduate of Petaluma High School, and a graduate of the University of California at Berkeley. Tom has been active in the real estate business since 1964 and is a former co-owner of the Land Company which was later sold to Westgate Real Estate. Having owned, developed, bought, sold and exchanged numerous commercial and residential properties, Tom is well versed in all facets of real property transactions. Additionally, he has been an originator and responsible partner in real estate oriented LLCs and partnerships. Community involvement is paramount for Tom. During the past 40 years he has been involved with the Petaluma High School Boosters, Petaluma Education Foundation, Boy Scouts of America and various other local charities. In 1996 Tom was awarded the prestigious “Man of the Year” award by the Petaluma Area Chamber of Commerce. Presently Tom is a member of the Rotary Club of Petaluma, and the Petaluma Area Chamber of Commerce along with national and local Associations of Realtors. 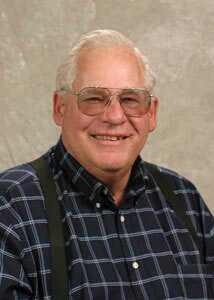 In his free time, Tom enjoys hunting, fishing, golf and spending time with his two grown children.